Gerry Pinnochio Adams protected by MI5 because he is one of their most important assets. 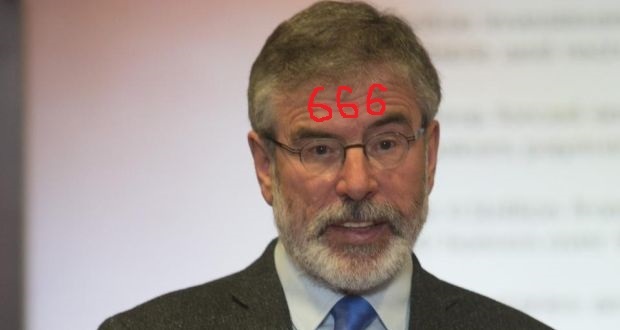 Gerry Pinnochio Adams protected by the Vatican because he is one of their most important assets. “Political Unionism” has been reduced to a compromised state of complete powerlessness and is unable to do anything to challenge or change the situation. Psalm 139:19 Surely thou wilt slay the wicked, O God: depart from me therefore, ye bloody men.